When our pet becomes ill, the desire to read all you can about it can be overwhelming. When K9 Magazine's own Mia was diagnosed with Mast Cell Tumour cancer in November last year, her diagnosis came a matter of weeks after her sister, Polly, was also similarly diagnosed. This led us to wonder if her breed was a more 'at risk' breed than others, or what factors were involved. Was Mia simply unlucky? A recently published study by the VetCompass programme at the Royal Veterinary College has looked into what may predispose our dogs to a type of cancer called ‘Mast Cell Tumour’, or MCT. 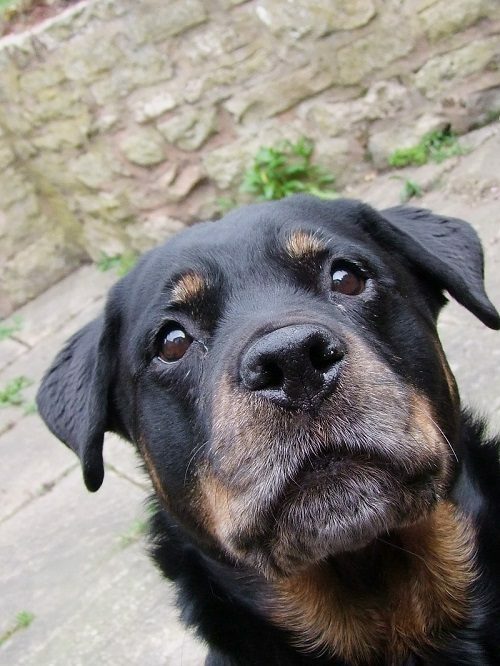 MCT is the most common skin-type tumour in dogs and can be life-threatening. If you want to spot one, look for a lump either on the surface of the skin or just underneath, which may appear swollen, red or sore and might change in size. They can be relatively straightforward to diagnose, with vets needing a small sample of the tumour to analyse and once completely removed, they can tell you how aggressive the cancer is, says Stephanie Shoop. Early diagnosis is essential in order to improve the results from treatment of dogs affected by MCT. By identifying which dogs are predisposed to this cancer, vets and owners may make this diagnosis faster. The study, published in ‘Canine Genetics and Epidemiology’ found around 450 cases of MCT in over 165,000 dogs attending UK vets. This means that around 3 in every 1000 dogs were diagnosed with MCT. However, this may even be an underestimate, because dogs that had the cancer but were not diagnosed, either because they hadn’t gone to the vet or had died before vets got the chance, could not be included. Are Certain Breeds More At Risk of MCT Than Others? When the results were split down by breed-types, the most commonly diagnosed with MCT were Boxers (with 20 cases per 1000 Boxers), followed by Golden Retrievers and Weimaraners. It is worth bearing in mind that these figures tell us how commonly these breeds have MCT, but not whether they are pre-disposed to this condition. For example, if larger dogs are more likely to get MCT, this finding may be nothing to do with their breed. The next step was therefore to explore what exactly might predispose dogs to MCT. To do this, information on dogs with MCT was compared with that on dogs without the cancer (remember information on over 165,000 dogs was at hand). This is called a case-control design. If, as in the previous example, there is a greater proportion of large dogs with MCT compared to those without, we might reasonably conclude that being large is linked to having this cancer. Indeed, this was the case, with dogs over 20kg associated with getting an MCT diagnosis. Before we disregard the breed-specific results mentioned above, we can look at whether on top of this finding, different breeds are still linked to having this cancer. The study reported that even if you take size into account, Boxers were still associated with MCT, with over 10 times the ‘odds’ compared with crossbred dogs. Pugs and Staffordshire Bull Terrier types were also associated with MCT. On the flip-side, taking all of their other information into account, breed-types including German Shepherds, Border Collies and West Highland White Terriers had the lowest ‘odds’ of having MCT, compared with crossbred dogs. This is not the exhaustive list of breed predispositions and if you want to look at a different breed, the paper can be accessed for free online here. Does a Dogs Age Mean MCT Is More Likely? On top of these findings, older dogs, as with most cancers, were associated with MCT. Insured dogs were also associated with increased diagnoses, but this is probably because insured dogs are more likely to have the tests to confirm MCT, suggesting the benefits to dogs from being insured! Dogs which weren’t neutered were also linked to MCT, but the information on neuter status wasn’t perfect and so this relationship needs to be further explored. Finally, gender was not linked to this cancer. So keep an eye out for red, swollen lumps in the skin that may be growing, and be aware that if your dog is one of the breeds listed, they are of a large breed or old, they may be predisposed to MCT. Do you have a query about the findings? Get in touch with K9 Magazine is so! We will ask Stephanie the most FAQ and give her answers next month. Stephanie Shoop MSc BSc is a researcher in Epidemiology at the University of Manchester. She has worked in canine research at the Royal Veterinary College and the University of Liverpool and is lead author for the study discussed in this article.